The beginning of Jonah chapter two is deceiving. The coordinating conjunction καὶ, “and,” seems to continue the preceding narrative without interruption. No overt elements are used by the author/translator to indicate a shift. Yet, a closer look reveals a shift in the narrative participants and geographic setting, the presence of poetry, and a chiastic structure that defines the unit as a whole. The boat, which serves as a prop in chapter one, falls out of the narrative, or rather, Jonah has fallen out of it (1:15). As Jonah descends into the depths of the sea, the Lord appoints a fish to swallow his disobedient prophet (2:1). The general setting of the narrative remains the same: Jonah is still out at sea. The specific setting, though similar to the boat of chapter one, has changed. The great fish now houses Jonah for the duration of the chapter. The narrative participants in chapter two must also be noted. While two of the characters, Jonah and the Lord, remain unchanged, the sailors are absent. The narrator is now concerned with Jonah’s interaction with the Lord. Will Jonah survive in the great fish? Will the Lord deliver Jonah? What does the prophet have to say for himself? B καὶ ἦν Ιωνας ἐν τῇ κοιλίᾳ τοῦ κήτους τρεῖς ἡμέρας καὶ τρεῖς νύκτας. and was Jonah in the belly of-the fish three days and three nights. And prayed Jonah to the-Lord the God of-him from the belly of-the fish. A’ καὶ προσετάγη τῷ κήτει, καὶ ἐξέβαλε τὸν Ιωναν ἐπὶ τὴν ξηράν. And was-appointed the fish, and it-vomited Jonah upon the dry-land. 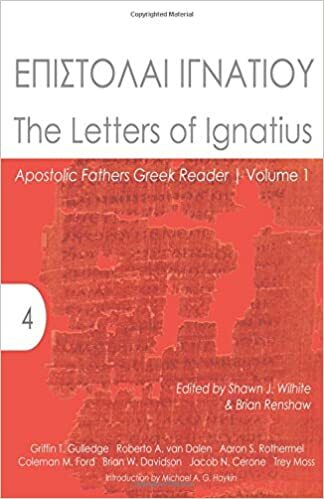 The Septuagint translator strengthens the chiastic structure of chapter two. Hebrew Jonah 2:11 reads, וַיֹּמֶר יְהוָה לַדָּג, “And the Lord spoke to the fish.” The shift from וַיֹּאמֶר, “And he spoke” to προσετάγη “it was appointed” makes the implicit connection between A and A’ explicit. Trible concedes the point that the psalm might not have been part of the original composition. Nevertheless, the psalm belongs in the final form of the book as it clearly functions to create dissonance and irony between the words and actions of Jonah. The unbalanced structure is intended to communicate discomfort and unease in the mind of the reader. Can Jonah’s confession and repentance be trusted? Robert E. Longacre, and Shin Ja J. Hwang, “A Textlinguistic Approach to the Biblical Hebrew Narrative of Jonah” Biblical Hebrew and Discourse Linguistics, ed. by Robert D. Bergen, (Dallas: SIL International, 1994), 342. This entry was posted in Biblical Studies, Discourse Analysis, Greek, Hebrew, LXX, Old Testament Studies and tagged Jonah 2. Bookmark the permalink.